I have been a part of the First Year Learning Communities Program at the University of Toronto since my first year. I started off as a student in the program, moving on to become an Assistant Peer Mentor in my second year, and a Peer Mentor in my third year. This program aims to ease the transition of first year students from high school to university, providing them with opportunities and resources for a fulfilling experience, and a strong support system to help them navigate their way through first year. Through bi-weekly sessions conducted throughout the year, we cover a variety of topics such as study strategies, how to find a research position, exploring career choices, choosing programs of study and even campus navigation. Beyond that we also have fun social activities like pumpkin carving and holiday celebrations! Overall, through this program I have been able to contribute my knowledge to help the first year students, learn and develop my skills, and interact with a diverse group of individuals. 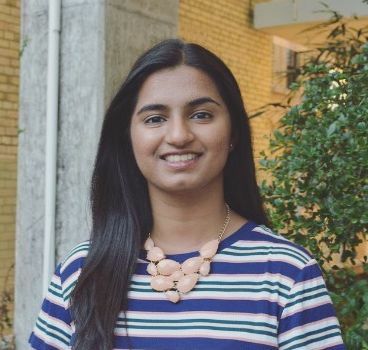 I am also a part of the Student Society for Stem Cell Research at UofT, where I have gotten the chance to spread my passion for emerging stem cell research and works towards a future of stem cells with an amazing team. We conduct many events throughout the year, such as academic seminars, debates, secondary school visits, journal clubs and an annual conference! The Physiology and Human Biology departments are both wonderful as they provide an excellent program with a variety of interesting courses and opportunities. Through core courses like HMB312, which gives students an opportunity to develop their laboratory research techniques, and PSL470, which includes a wet lab component looking at specimen with congenital heart diseases, both programs allow you to explore and prepare for potential career pathways. Additionally, these programs are comprised of highly skilled and readily approachable professors who come from such unique backgrounds, and work in many different fields. I am currently pursuing research at the Peter Gilgan Centre for Research and Learning, with Dr. Indra Narang, regarding sleep medicine. This involves collecting and analyzing patient data to further study and understand aspects of sleep apnea. I plan to pursue a career in medicine, implementing the knowledge and skills that I have learnt through my undergraduate career and research experience to cater to patient needs.